In 1996 Swampy became a nationally known figure after spending nine days in a complex series of tunnels dug in the path of a new extension to the A30 road in Fairmile, Devon resisting attempts at eviction by police. 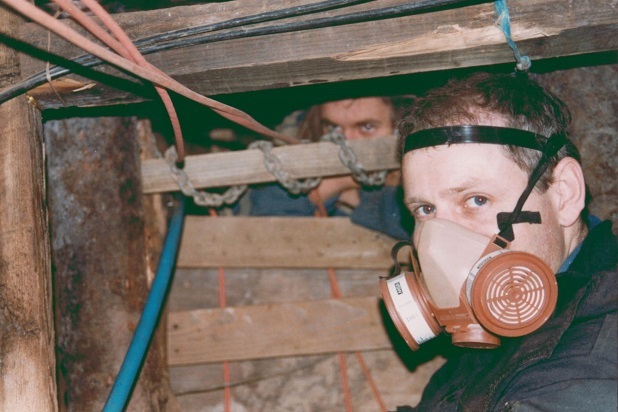 Peter Faulding was called in as a confined space rescue specialist to safely remove Swampy and a number of other protesters locked on deep inside the network of manmade tunnels. Several people took part in the protest, but Swampy was the last one evicted. The magistrate passing sentence on him was David Cameron’s mother. Early that year Peter removed the protesters from the site of the A34 Newbury Bypass.